Context - Nanotechnologies refer to technologies which exploit the unique properties of tiny particles of nanometre size (millionths of a millimetre). However, materials containing nanoparticles may be of concern for human health and the environment, and the risks of these recently developed materials need to be assessed. Are the existing methodologies to assess these risks appropriate? 1.1 Nanotechnology is the science of designing, producing, and using structures and devices having one or more dimensions of about 100 millionth of a millimetre (100 nanometres) or less. Nanotechnology has the potential to significantly impact society. It is already used for instance by the information and communications sectors. It is also used in cosmetics and sunscreens, in textiles, in coatings, in some food and energy technologies, as well as in some medical products and medicines. Moreover, nanotechnology could also be used in reducing environmental pollution. However, engineered nanoparticles can have very different properties and effects compared to the same materials at larger sizes, which may entail new health risks for humans and other species. Indeed, the normal human defence mechanisms may not be able to respond adequately to these engineered particles which may have characteristics never encountered before. In materials science, nanoparticles allow for the making of products with new mechanical properties, including surface friction, wear resistance, and adhesion. The smallest components of a computer chip are on a nanoscale. In biology and medicine, nanomaterials are used to improve drug design and targeting. Others are being developed for analytical and instrumental applications. Consumer products such as cosmetics, sunscreens, fibres, textiles, dyes, and paints already contain nanoparticles. In electronic engineering, nanotechnologies are used for instance to design smaller, faster, and less consuming data storage devices. Nanoparticles often have physical and chemical properties that are very different from the same materials at larger scales. 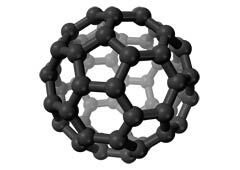 The properties of nanoparticles depend on their shape, size, surface characteristics and inner structure. They can change in the presence of certain chemicals. The composition of nanoparticles and the chemical processes taking place on their surface can be very complex. Nanoparticles can contribute to stronger, lighter, cleaner, and “smarter” surfaces and systems. They are already being used to produce scratchproof eyeglasses, crack-resistant paints, anti-graffiti coatings for walls, transparent sunscreens, etc. They can be used to increase the safety of cars, for instance by increasing tyre adhesion to the road, improving the stiffness of the car body, or preventing glare or condensation on displays and panes. They can also improve food safety and packaging. 7.2 Most people are routinely exposed to nanoparticles in ambient air, primarily from diesel fumes. Exposure to airborne nanoparticles is low in terms of mass but significant in terms of numbers of particles. It is the number of particles, their size, and their surface characteristics that are determinant for interactions with living systems. 8.3 Identifying the hazards of the nanoparticle form of a well known chemical requires a testing method that can determine if this nanoparticle form will cause significantly different adverse effects compared to the same chemical at larger scale. Although the existing methods are appropriate to assess many of the hazards associated with the products and processes involving nanoparticles, they may not be sufficient to address all the hazards. Also, the existing methods used for environmental exposure assessment are not necessarily appropriate. Therefore, the current risk assessment procedures need to be modified for nanoparticles. Existing methodologies need to be modified or new ones developed to be able to better determine the physical and chemical properties of nanoparticles, measure exposure to them, assess their potential hazard, and detect their movement inside living systems, be it in human tissues or in the environment. In general, and in spite of a rapidly increasing number of scientific publications dealing with nanoscience and nanotechnology, there is insufficient knowledge and data concerning the characteristics of nanoparticles, their detection and measurement, their behaviour in living systems, and all aspects of their harmful potential in humans and in the environment, to allow for satisfactory risk assessments for humans and ecosystems to be performed.